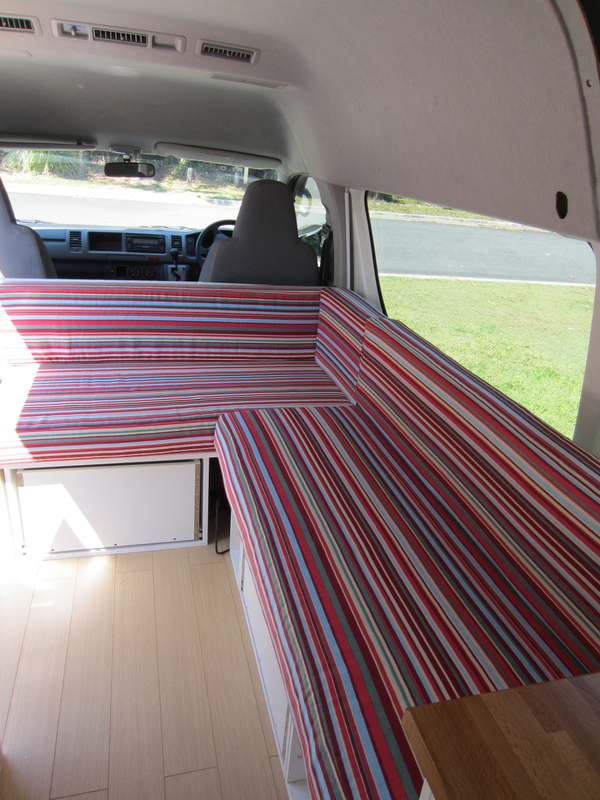 Campervan cushions – and then there were five! I still need to adjust the padding on some of them but they’re almost there. Step-by-step instructions to follow shortly! 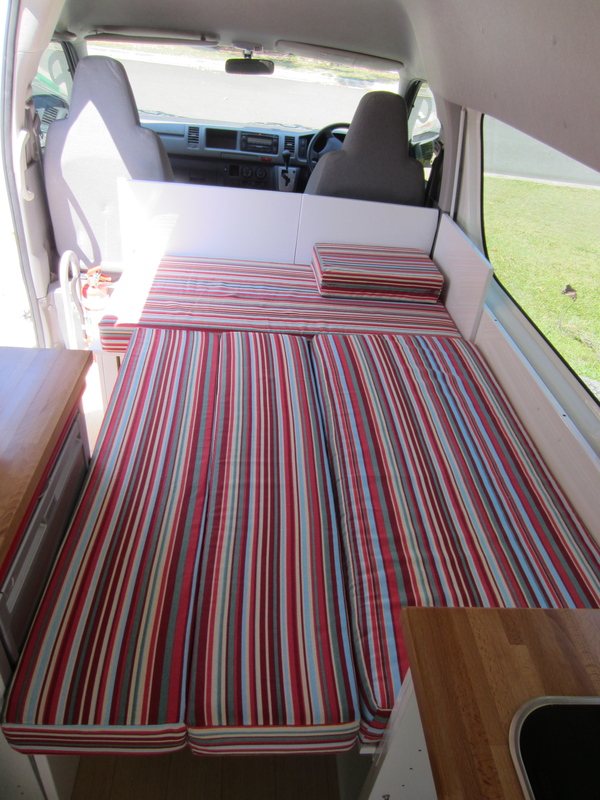 This entry was posted in Building a diy campervan, Sewing adventures and tagged building a campervan, campervan bed, Campervan conversion project, campervan cushions, campervan furniture, Campervan photos, campervan seating, campervan upholstery, Converting a campervan step-by-step, DIY campervan by Rach. Bookmark the permalink. 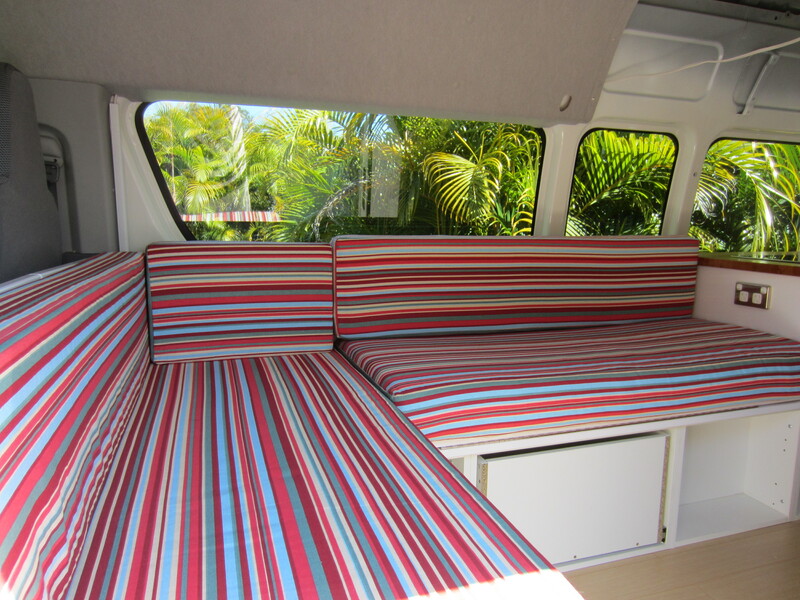 Very impressed – both with the water system and the cushions!!! How much storage space did you manage to fit in. 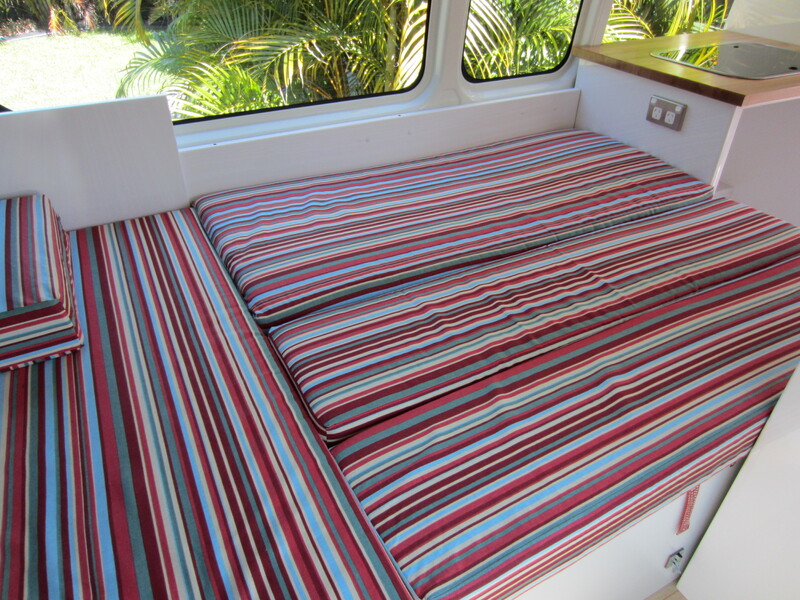 do you have space for things like linen, clothes, beach stuff?? I suppose there is a lot under the seats? I know! Just when I’ve finally identified a tiny space for some clothes Paul sticks another tank or pump in there. We’re going to have to be a bit creative. At least we’ll be able to take enough food and wine for a week though because the fridge is huge! The bed looks quite comfortable. Is that where I’ll be staying over the weekend? I’m don’t know if this is the right time to say this…but I’m not sure about that fabric Rachel.